Security breaches have become so commonplace in the United States that news around them barely causes a ripple these days. Even if it’s news that provides consumers an extra layer of protection and won’t cost them a dime. The Economic Growth, Regulatory Relief, and Consumer Protection Act – which allows consumers to freeze and unfreeze access to their credit report – very quietly went into effect September 21. The law means that any consumer can put a credit freeze (also known as a security freeze) on their credit file and do it as many times as they like – for free! A credit freeze means no one – including you – can access your credit report to open a new account, without using a PIN number given only to you. That makes it infinitely harder for thieves to open new accounts using stolen identities. “A security freeze is an important fraud-fighting tool against financial identity theft and data breaches,” Senator Mike Crapo (R.) of Idaho said. “You can freeze and thaw your account as many times as you need to for free. Another provision of the law allows consumers to put a “fraud alert” on their credit report. The fraud alert forces businesses to verify a consumer’s identity before granting new credit. The law extends the time frame on fraud alerts from 90 days to one year. The new law provides individuals with greater control on how the information on their credit report is used. Typically, if thieves have stolen your identity in one of the many recent breaches, they obtain information that includes your name, date of birth, social security number and address. Thieves can use that information to apply for all sorts of credit in your name, including mortgages and auto loans, but mostly it is used to apply for credit cards. When the card companies receive an application, they look at your credit report to review payment history and if things look good, they routinely approve the card in your name. The thieves use the new card to make purchases (mostly online) that could cost thousands of dollars by the time you become aware of what happened. 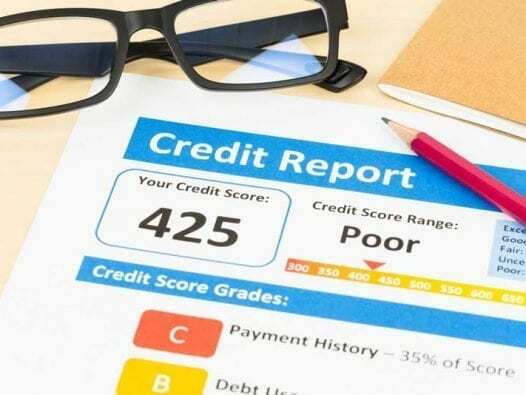 However, if there is a credit freeze on your account, the credit card company – and any other lending business – won’t be allowed access to your credit report and the application for a new card will be denied. While a credit freeze is an effective form of defense in most situations, it can be a burden for consumers seeking a home loan, an auto loan or, as mentioned, a new credit card. The potential lenders are denied access to your credit report and thus your applications would be denied. That problem is easily resolved by “thawing” the credit freeze. The new law instructs the three major credit reporting agencies – Experian, Equifax and TransUnion – to each set up a page on their website that allows consumers to request either a credit freeze or fraud alert. Consumers can lift the freeze their credit report via phone or mail, but the quickest method usually is to go online. The credit reporting agencies must lift the freeze in one business day if the request is made online or over the phone. If the request is made by mail, the reporting agencies have three business days to lift the freeze. Consumers should be aware that they must contact each of the three reporting agencies separately to request a credit freeze or to have the credit freeze lifted. If you are going to apply for credit and want to lift a freeze temporarily so lenders have access to your credit report, you can do so, but be sure to specify when you want the freeze to resume. You also are permitted to request freezes for your children, whose identities often are used by thieves to obtain loans and credit cards.